Every St George home buyer needs to remember these 10 things before purchasing a house. There’s no need to take risks as a St George home buyer with your credit profile by prematurely moving your money around and making an enormous purchase. In order to get you the best loan they can, lenders want to see a thorough paper trail that shows you’re reliable. You’ll make it difficult to get a loan if you make a lot of giant purchases, accumulate loads of debt, and open new credit cards. A St George home buyer would be smart to remember that a pre-approved mortgage is not the same thing as being pre-qualified. Pre-qualified loans are not exclusive and are available to virtually anyone. Being pre-approved, however, is much more substantial because it means that your financial information has been examined and assessed and that you know exactly how much they’re willing to lend you. The last thing you want is to waste time viewing homes you can’t afford. 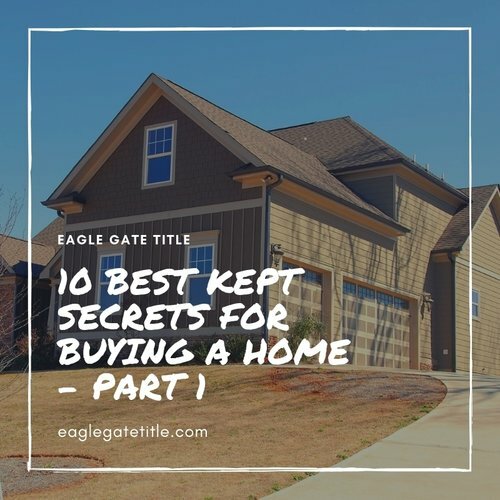 A St George home buyer who is pre-approved will avoid that in addition to having assistance in getting the best possible interest rate and overall deal. Be sure to learn about points, processing and junk fees, and any potential hidden costs associated with the loan. You must have a survey completed on the property you’re considering so that you are fully aware of property lines. A neighborly dispute over property lines is not a situation a St George home buyer ever wants to ever be in. Another reason why having a survey done is important is because the amount you will eventually pay on property tax once you’re the owner will depend the exact amount of property you have. Friends and family may instruct you on when they think you should buy according to their knowledge of the market. The sooner you accept the fact that you cannot anticipate the housing market, the better. All a St George home buyer needs to know is that if you find a home you can afford and you absolutely love it, than it’s time to buy. The real estate market is too unpredictable to be spending precious time trying to outsmart it. Just look for the home you truly want and when you find it (and it’s within your budget), don’t let what others are saying about the market prevent you from purchasing it. You may covet the nicest, biggest home on the street. But that doesn’t necessarily mean that it is “better” than the other homes. One fact to remember is that those who own the nicest, biggest home on the street have a very small demographic to sell to when it comes time. Remember that the value of your house goes up only in accordance with the surrounding houses. For example, if your neighbors are paying $300,000 to $350,000 for their homes but you pay over $500,000, the potential for appreciation is extremely limited. If a St George home buyer purchases the worst home on the street, they will likely be able to trade their home for a higher amount per square foot than the big, nice one. One of the big differences between owning a home and renting one involves sleeper costs. You will be a wise St George home buyer if you remember the reality of additional home owning expenses such as HOA dues, utilities, and property taxes. Many people only think about the mortgage payment when buying a home but fail to consider the likelihood of property tax increases, maintenance, repairs, and the other expenses the come with being a St George home buyer. 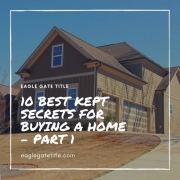 This article will continue with the St George home buyer article 10 Best Kept Secrets for Buying a Home – Part 2.